The Flaggy Shore, New Quay, Co Clare by Margaret Clayton. 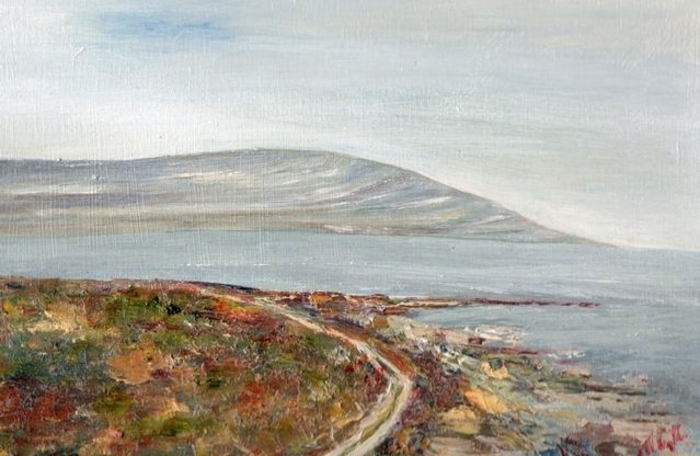 INTO THE West, an exhibition of oil paintings by Margaret Clayton, is currently on show at the Renzo Café, Eyre Street. Margaret, with no formal training, began painting in 2005, eventually taking oil painting classes and workshops in Ireland and France. The exhibition runs until July 7.